Go ahead and take a guess where this photo was taken. The landscape and foliage provides two major clues. Answer is after the jump. 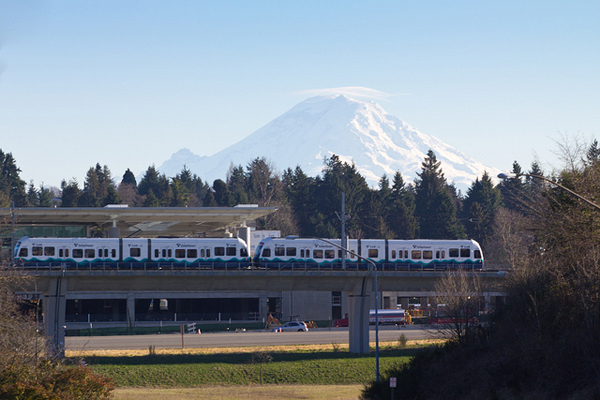 That’s the Sound Transit Link light rail line, as seen near the Seattle-Tacoma airport. Mt. Rainier in the background is the big clue, as are the conifers beyond the track.